Born sometime during the year 1487 she matured into a very beautiful woman. She married John Meyer von Knonau, who came from an aristocratic family, though she did not. When his father found out about their marriage, he disinherited him, leaving John and his family to cast on his own resources. In 1511, John was elected to join the Swiss army where he traveled to Italy to fight against France. After many campaigns, he returned gravely ill and soon thereafter died, leaving Anna with 3 children: 1 son and 2 daughters. Suddenly thrust into widowhood, Anna was forced to look after her family on her own. She struggled often to support her family and train her children. But God had not forgotten Anna. Every time a certain preacher, named Ulrich Zwingli came to preach in her town, she would attend. She listened attentively to his words as they thundered from the pulpit and it wasn’t long before he became her pastor. A true lover of the Word of God, Anna was always eager to hear the Scriptures as taught by him. At the same time, Anna’s young son Gerold, caught the preachers attention. Zwingli took an interest in becoming a role model to him and particularly encouraged him to pursue higher education. He gave him private lessons in Latin and Greek and in many ways became like a father to him. When Gerold took leave for another city, Zwingli actually wrote him a book to encourage him in his walk with the Lord. And walk with the Lord, he did. Gerold quickly obtained much favor in his new city and secured a very influential position. It wasn’t long afterwards that Zwingli and Anna were married. Right away the young marriage encountered hostility. Many people accused Zwingli of marrying her because of her beauty — and now wealth due to her son’s success. But soon after they married, Anna stopped wearing jewelry and her appearance became more simple and modest. Together the Zwingli’s had 4 children. Anna had a most charitable heart. She loved to help others and saw it as something of great priority in her life. She became a helper of the poor and visited the sick as often as she could. Every opportunity, and any little extra that the family had, was given to the poor, or in some way used to benefit the work of the Lord. Those who knew her well described her as a pious woman. Anna was a wife who could easily be described as being preoccupied with her husbands well-being. She was known to encourage her husband and remind him to take rests when he was working feverishly translating the Bible to her own Swiss tongue. Zwingli was known to read his wife the Bible every night. Not surprisingly, the Bible was her favorite book and this Reformers wife tried to introduce it to as many people as she could. It was her desire that every family own a copy. She thoroughly enjoyed religious conversations and took every opportunity to learn more about the great truths of her faith and whether it was with her own husband or other Reformers she loved to participate in theological discussions. Despite the fact that she had very soft and gentle ways about her, it would be a mistake to consider her a weak woman. This would have had to have been a woman of great faith. Any woman married to a Reformer learned to live with the knowledge that her husband was a marked man. Zwingli, of course, was no exception. Her husband’s life was constantly under threat. She particularly worried for his safety when he was alone. While she understood the life threatening nature of Reformation work, this concern was never greater than her sincere desire to support him and serve the people of God. Even as the Zwingli home was vandalized on more than one occasion she continued to open her place to Protestant refugees fleeing religious persecution. In addition, she showed great hospitality and always welcomed the opportunity to entertain Zwingli’s many friends and guests. On October 1531, Zwingli, was ordered to go with the Swiss army as their chaplain. He knew it was the last time he would see his wife and children. As he was leaving, one can almost hear the sweetness mixed with courage in her voice as she said, “We shall see each other again if the Lord will. His will be done. And what will you bring back when you come?” Zwingli’s answer to his beloved wife, “Blessings after dark night.” And with these last words he left. Anna held onto those words for the rest of her life. Upon being informed of her husband’s death, she ran to her bed and cried out loud to the Lord. Since there was no one else she could run to and find comfort, she prayed all alone: “Father, not my will, but Thine be done.” She knew God was sovereign and because of Christ she had assurance in her soul that she would see her husband again. Anna carried on her life with a broken heart missing her beloved, and training her children in the ways of the Lord. On her last days, she became very sick and frail but she endured with great patience her suffering. Anna never stopped clinging to her husband’s last words. On December 6, 1538, she went home to be with the Lord where her beloveds promise of “blessings after dark night” was finally realized. When we look to Anna Zwingli, we see a model Christian and ministers wife. Her life, far from easy, was marked by many sorrows and anxieties. Surely this was a woman who could only have been held up and comforted by the truth of the sovereignty of God. She was a woman of quiet majesty who trusted God above all. Her steadfast support to her husband in the quiet of their home enabled Zwingli to have the immeasurable influence that he had in the Reformation. It came natural to Anna to put her husband’s needs first. Anna was a woman who simply saw others as more important than herself. Anna was her husbands greatest fan and undoubtedly his most beloved student. 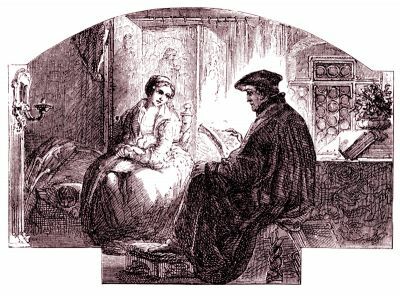 Her loving commitment to her husband contributed to the success of the Reformation and when we speak of Ulrich Zwingli’s contribution to the church, we must remember the woman named Anna who made it all possible for him to be the blessing that he was. 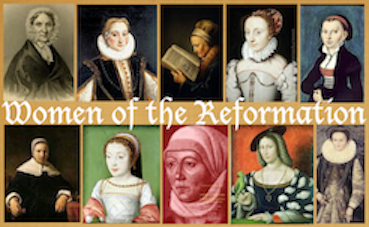 The wives of the Reformers have left for us examples of God’s design in marriage. Submissive yes; inactive no. These women had a tremendous impact in the lives of their own husbands. Because of Anna, Ulrich Zwingli was able to translate the Bible and preach the gospel to many people. Anna leads the way for us today as we seek, by God’s grace, to support our husbands that they may serve the Lord in their respective callings. May we not forget the Church’s history and may we remember the women who have gone before us.